Several majors in the Argyros School of Business & Economics require and recommend foundation and/or prerequisite courses. You can find the required and recommended courses for those majors below. 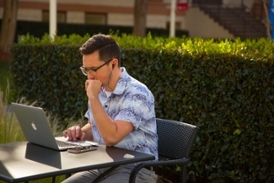 To find which transferable courses at your college match Chapman’s prerequisites, please use the Transfer Course Approvals website. This will give you the most updated articulation information. You can find directions for using the Transfer Course Approvals website below. You must have a minimum of a 2.5 GPA in all your required prerequisites. If you do not see a course, it does not necessarily mean that it is not transferable. It could mean that it has not yet been articulated by Chapman. 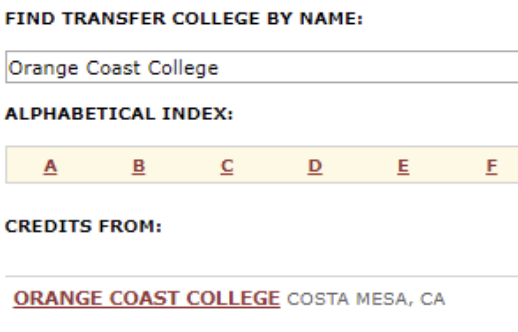 If you can not find your course, please contact us at transfers@chapman.edu for assistance. Only the Argyros majors below have required or recommended prerequisites for transfer students. For more information on this program, visit the B.S. in Accounting webpage. For more information on this program, visit the B.S in Business Administration webpage. For more information on this program, visit the B.A. in Economics webpage.